Friends, some of you may have been surprised in reading my latest Speedhunters post that I had actually had a subwoofer, amp and custom made enclosure, which ended up getting thrown out by Nakamura-san at Worx AutoAlarm. Putting my feelings on that aside, I'd like to bring you all up to speed as to what I was doing in the audio department. Long story short, yes I was working on a set up, but I wasn't ready to publish here on this blog until it was all done. And I had so many ideas that I was sure was going to make this the mother of all subwoofer enclosures! But now that the cat's out of the bag... I won't spill all of my secrets and ideas, so this can be considered to be Version 1. Hopefully soon I can replicate and improve upon this idea. Anyway - a few years ago I embarked on a DIY sound insulation project and actually while doing that, laid the plans for a subwoofer system. 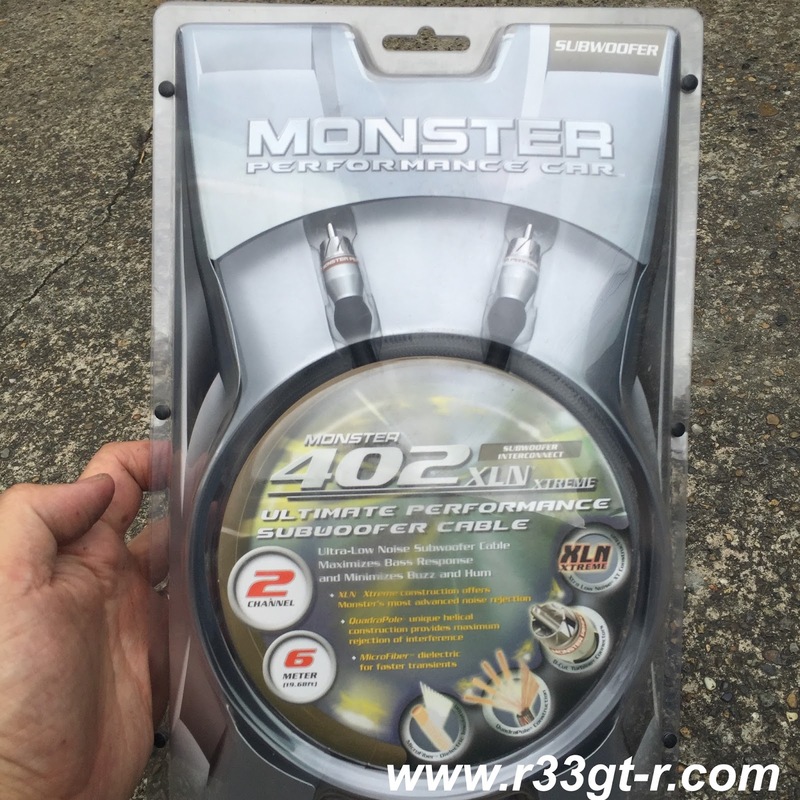 Because I had lost the use of the temp tire that is normally kept in the trunk due to the R35 calipers and rotors now on my car, the wheelwell was empty. Additionally, my research for how the R33 improved upon the R32 showed that weight distribution in the rear was important, and now my car was lighter in the back without the spare temp wheel! 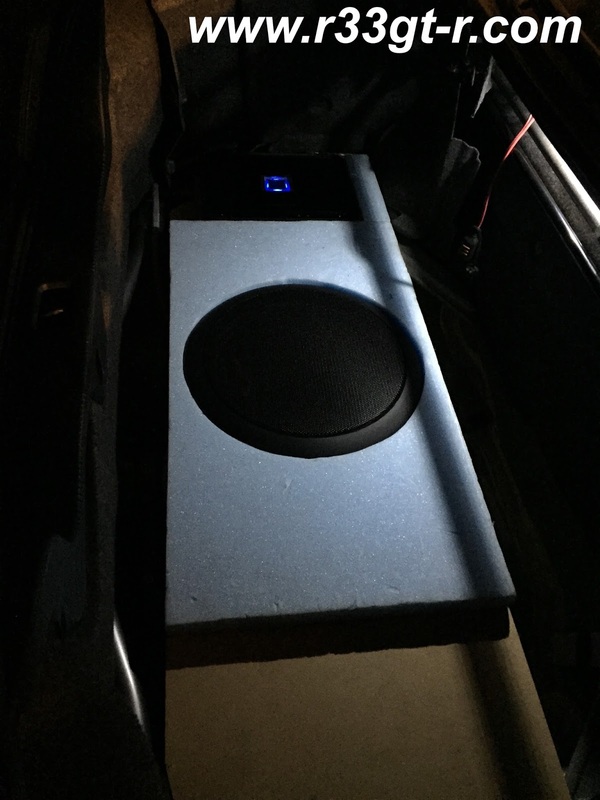 So, installing a subwoofer would accomplish two tasks - it would restore or even improve the weight distribution of the car in the rear (assuming a subwoofer, amp and box would weigh more than the spare tire), AND if possible, I could utilize otherwise dead space where the spare used to be. 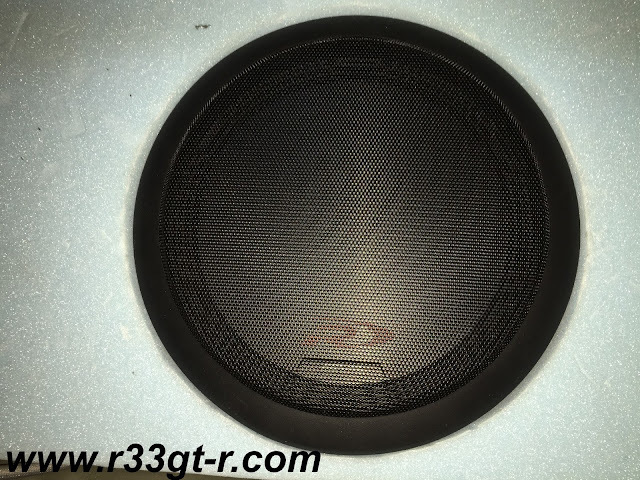 The first task of course was to get educated on car audio, specifically regarding how to build a subwoofer enclosure. I quickly learned that each subwoofer has a recommended, ideal cubic volume for enclosure space, at which it sounds the best. 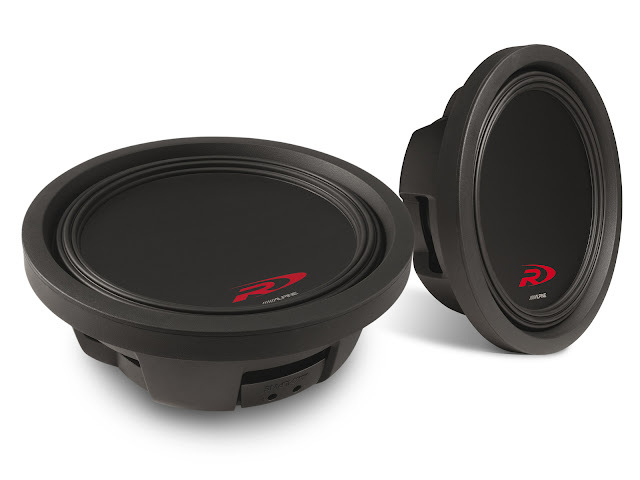 I also learned that several well known manufacturers were producing "shallow mount" subwoofers - subwoofers designed to not require as much space but reducing the size of the magnet, etc. 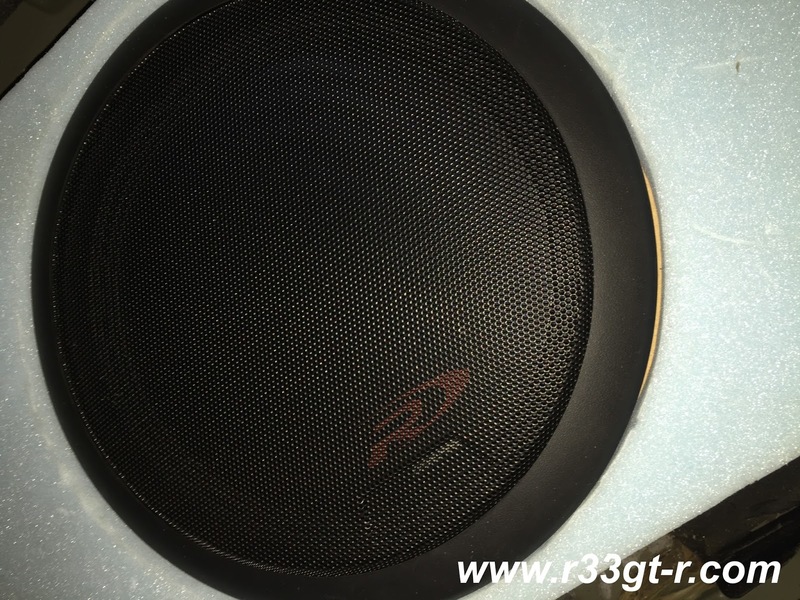 Then after a lot of research on subwoofers, I chose the Alpine SWR-T10 10 inch shallow subwoofer as the best possible candidate for the job. Not only was it compact so it would fit within the relatively short trunk in a flat position, it also appeared to have the lowest cubic volume requirements. This was important because, ideally I did not want to build more than I had to vertically above the wheel well, because I was envisioning the enclosure to extend all the way across the trunk area, forming a new floor. And I wanted to keep the floor as low as possible to save as much trunk volume. 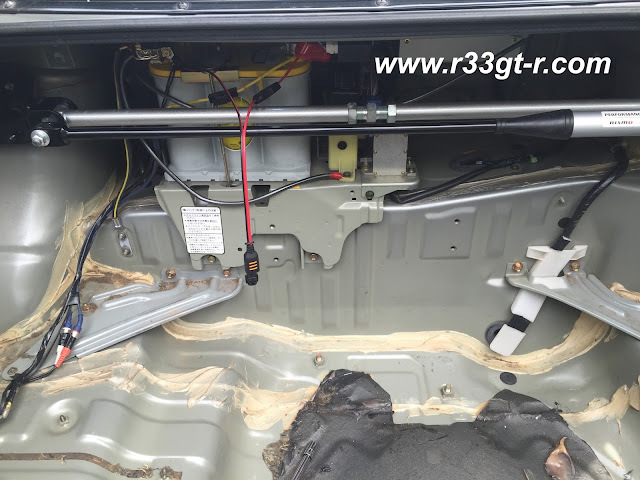 Ideally, this new trunk floor would be level with the S15 trunk bar that I had also installed previously, so that I would have a perfectly flat floor all the way across. 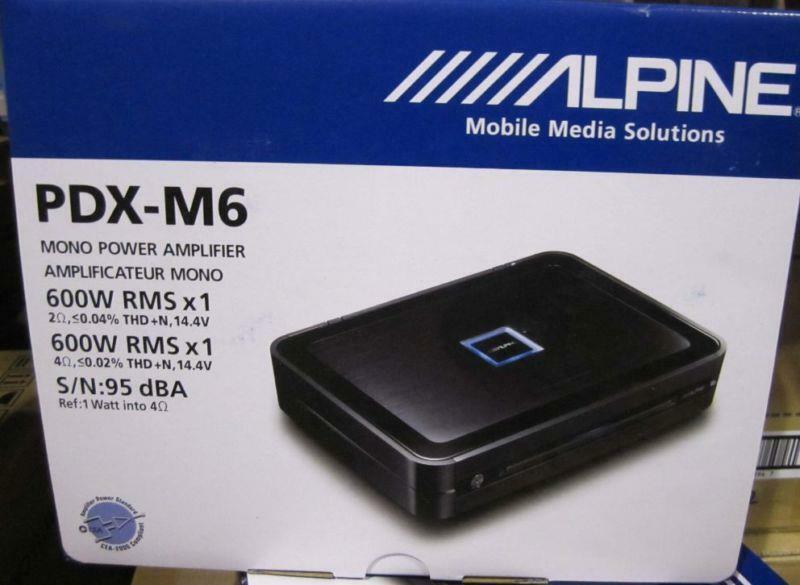 With the Alpine subwoofer, I chose to match it with Alpine's PDX-M6 600W mono amp. Figured there would be no compatibility issues, at the very least. So now, I had to figure out how to construct the enclosure. The first trick of course was to find someone talented enough for the challenge - both to make a custom enclosure as well as to put up with my ideas. Through a friend I was introduced to a free-lance carpenter in Chiba. He had no problems agreeing to the task, and so the first task was to lay out some wood long enough to span the width of the trunk. This wood was then made into a frame upon which we planned to hang the fiberglass mold from, and then cover up to provide a flat floor. And of course allow the subwoofer itself to be mounted flush. I can't seem to find all the photos but will update when I do! Anyway, once the ladder type frame was put together, using water and some garbage bags to verify the volume, we laid out fiberglass to create the unseen side of the enclosure, making sure it fit into the spare tirewell. 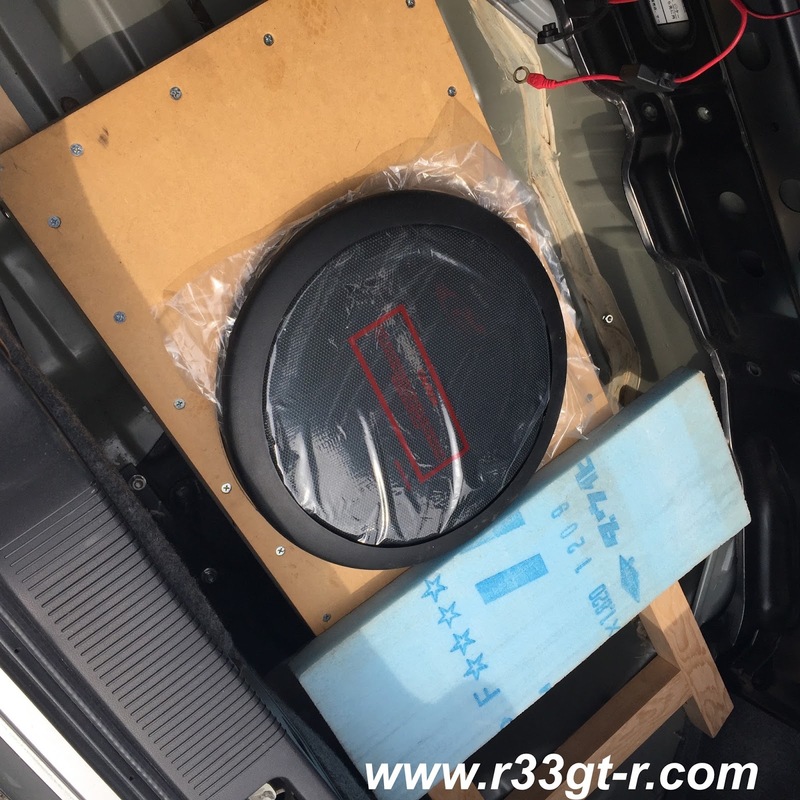 Hard to tell but the inside of the fiberglass provides ideal volume for the Alpine subwoofer. 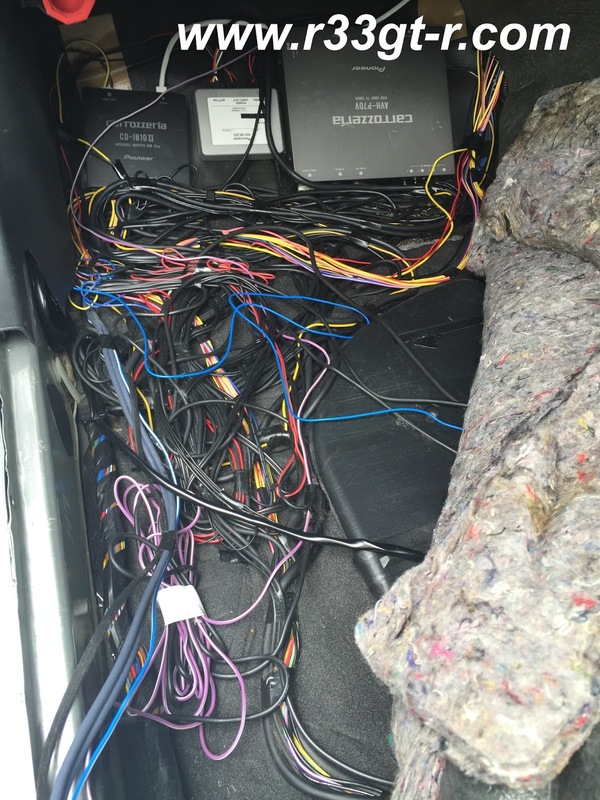 I had actually asked another friend of mine (Alex) for advice on car stereo wiring, long before I started this project. He swore by Monster, but since it was sourced in the USA it wasn't that expensive. Love it or hate it, these worked well for me. Alex (as well as the DIYMobile crowd) all recommended a fuse in line to the amp, just in case. 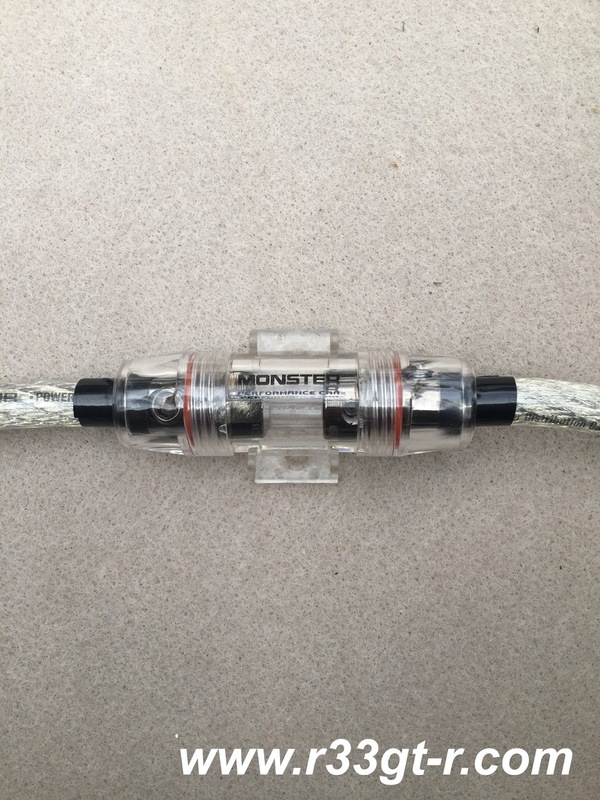 Another Monster product, ordered at the same time as the cable. The biggest pain for me of course was to run the wiring connecting the amp to the back of my old head unit. You can make out the double bluish grey cabling on the lower left of the following photo. Then it was just hooking up the Amp to the battery and the subwoofer. Meanwhile, we checked the placement of the subwoofer and found some polyurethane foam. Here is the speaker installed, with the grill on. Speaker installed with the grill on. The surrounding polyurethane foam formed a flat floor on top of the box. close up, you can see the Alpine R logo. A shame I don't have a daylight photo of the whole set up. But, you can see the glowing blue Alpine amp to the left of the speaker. I had planned some storage pods to try to use all available space as efficiently as possible. I never got around to doing that, however I can tell you that, even in conjunction with the cheapish Pioneer components in the car, the subwoofer really provided a much needed low frequency OOMPH to really give life to the music. Also, maybe because the amp was a source of clean power, compared to the current system (where due to lack of the subwoofer I have to really crank up the volume) which actually has more sound leakage at the levels where you can really hear the details in the music. Anyway - looks like I will have to go back and figure out how to do this again. 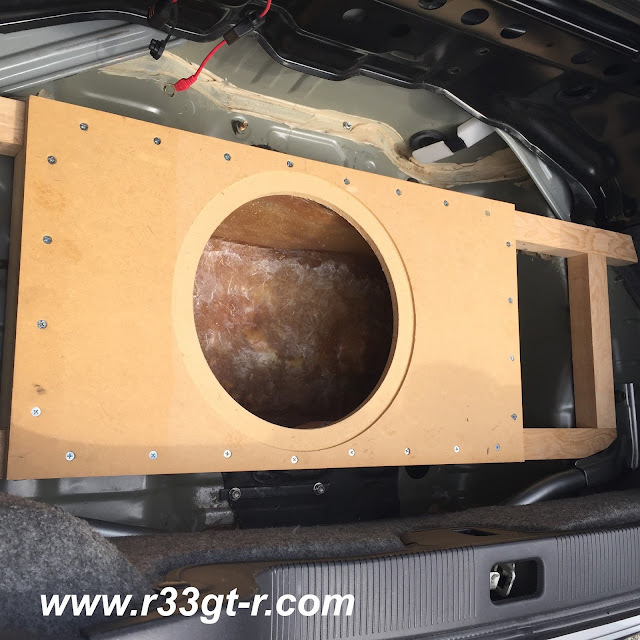 Maybe with the same components, but at the very least the search is on for a car audio shop that can do a great job with a custom subwoofer enclosure. As usual, I will keep all of you posted!